Alright kids, pack your stuff we are going to Coral Island for vacation. We are going to visit an old friend. The Star Tropics series. Easily one of the greatest and overlooked franchises on the NES platform. At times it was seen as a joke to the public mainly in part that the main character's weapon was a yoyo, but looks can be deceiving. And since this was a Nintendo title you are going to get more than just a decent game here. The plot mainly centered around Mike Jones, who was just going to visit his uncle Dr. Jones, on Coral Island. Unfortunately for Mike, he gets there and talks to the cheif who deliveries some rather bad news. It would appear some aliens up and kidnapped his uncle while he was in an archeologic dig. So thus Mike sets out to go and rescue Dr. Jones. And to battle these evil doer aliens the cheif gives Mike a powerful weapon of ultimate death and destruction. Aweapon so powerful that evi doers cower at its awesomeness. An old wooden yoyo. Oh yeah, those space aliens better fear the yoyo cause Mike also happens to be an ace pitcher for his baseball team back at home. Now if your done laughing and rolling over on the floor you will quickly realize that this game has some of the most addicting and challenging gameplay you will find on the NES. The game is set up in two modes of play. 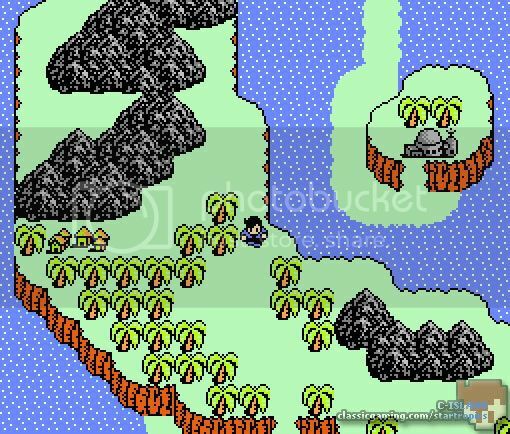 You have the overworld play mode where its pretty much like final fantasy, but no random battles. You can travel the islands that you land on and interact with the locals. Even partake in miniquests that will help you along your journey. 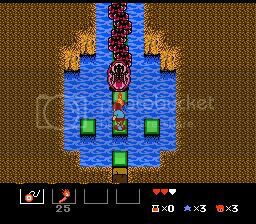 Then there's the action mode where the game is set like the first zelda. Infact it plays just like zelda only Mike can jump which allows for some intense platforming later on in the game. Later in the game you finally get to rescue your uncle after much platforming, spelunking, weapon upgrades (oh yeah, I forgot to mention weapon upgrades didn't I) and helping the locals you finally face your nemesis, Zoda. Upon deafeating Zoda, you will soon releazine that noy only did you save earth but you also saved the last of a dying race of aliens, the Argonians. After the celebration its onto the sequel. Star Tropics 2 was released late in the NES's life and might've been easily more overlooked than the first because of the attention Sega's Genesis and Nintendo's Super NES were generating. But amidst the console wars, Nintendo created probably one of the greatest sequels ever to be released on any platform. Star Tropics 2 surpassed every aspect of the first and improved everything. From improved graphics and animation, music, plot and gameplay. Star Tropics 2's gameplay and control were greatly improved over the original. 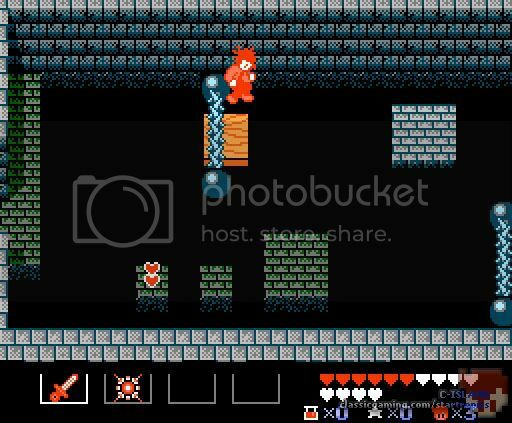 Now allowing Mike in action mode to move and jump diagonally. Also when Mike jumps you have control over the direction to where he can jump. So if you wanted to change the direction at the last second, you can do so. Oh and the yoyo is not in this game. Instead you get to start off with a stone axe that a caveman gives. The game's new plot has Mike being transported thru time to face his nemesis Zoda. Later on it turns out that Zoda is nothing but a clone of his former self and that there is more than one clone. Mike visits many places and meets many people in his travels thru time. From helping the queen of the Nile, Cleopatra to giving the legendary King Arthur a hand with dragons is just the tip of the ice berg. However after the second game, there was nothing. The games became nothing more than cult classics and for the past few years, people would try and start petitions to get a sequel or a remake. Unfortunately those cries have been left unheard. Until the Nintendo Revolution's virtual consoles was annoucned. Now even though both games were overlooked there is a chance at redemption. With Nintendo's Virtual console chances are very high that both games will be available for download to play. And if they were to garner enough attention there is always a chance that Nintendo will consider a sequel. Look at what the Dead or Alive series did for Ninja Gaiden's resurrection. *All images were taken from the Star Tropics: C-Island website in gamespy's classic gaming section. 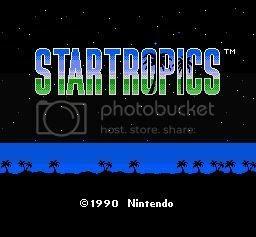 Links to check out for more about the Star Tropics franchise. Enjoyed the blog about accessory ps3 found it very informative. I found a good website which also features accessory ps3 and accessory ps3. The link is great for **uk bargains** including Nintendo Wii, PS2, PS3, games consoles and features famous online stores inc Argos, Marks and Spencer, Empire Direct, LX Direct, Tesco, Next. There is also a chance to play online bingo and try your luck at the online gambling sites available inc roulette, poker and fruit machines. I've also found another site for **free soccer links**. Hope you find these sites interesting - all the best! Good blog - very interesting!! Thought you might like some excellent advice on driving extra traffic to your website/blog - I'm into private server virtual and to drive traffic to my website I was searching around the internet for absolutely ages looking for SEO tools to fire my site up the Google search engine, then I signed up free for this superb traffic gereating tool - I now have loads of hits to my websites/blogs and my site is shooting up the Google rankings quicker than ever before. It's all about how to choose a proper companion who utilizes your money in a right way - that is incorporate it in real business, and shares the profit with me. Good fill someone in on and this fill someone in on helped me alot in my college assignement. Thanks you as your information.